Scientists are becoming increasingly concerned about the threat of super bugs – pathogens or bacteria that have developed antibiotic resistance that make them hard to treat. Last May, officials identified an E. coli strain that had such a resistance in Pennsylvania, and other cases have popped up around the country since then. In response to the growing threat, the World Health Organization (WHO) has published its first ever list of “priority pathogens” covering 12 families of bacteria. The organization says that these particular pathogens present a clear danger to the public and warrant the most extensive research to find suitable treatments. “This list is a new tool to ensure R&D; responds to urgent public health needs. Antibiotic resistance is growing, and we are fast running out of treatment options. If we leave it to market forces alone, the new antibiotics we most urgently need are not going to be developed in time,” warns Dr. Marie-Paule Kieny, WHO’s Assistant Director-General for Health Systems and Innovation. WHO officials divided the list into three categories based on which pathogens were the most dangerous to the public. The “Priority 1 – Critical” group is made up of three bacteria that are resistant to several of our strongest antibiotics and pose the greatest threat to consumers in hospitals, nursing homes, and who use ventilators and blood catheters. The “Priority 2 – High” group is made up of bacteria that are more common but are becoming more resistant to currently used antibiotics. It includes pathogens that cause diseases like salmonella. The last group, “Priority 3 – Medium” is made up of similar pathogens that WHO believe are slightly less threatening but still worrisome, such as bacteria that cause Pneumococcal Disease. WHO officials hope that their list will spur innovation and help create antibiotics that can mitigate the threat that these super bugs pose. Government officials and researchers from around the world have affirmed that targeting these bacteria should be a top priority. “We need effective antibiotics for our health systems. We have to take joint action today for a healthier tomorrow,” stated Hermann Gröhe, Germany’s Federal Minister of Health. “New antibiotics targeting this priority list of pathogens will help reduce deaths due to resistant infections around the world. Waiting any longer will cause further public health problems and dramatically impact on patient care,” added Professor Evelina Tacconelli, Head of the Division of Infectious Diseases at the University of Tübingen. The a short summary of the WHO report can be found here. 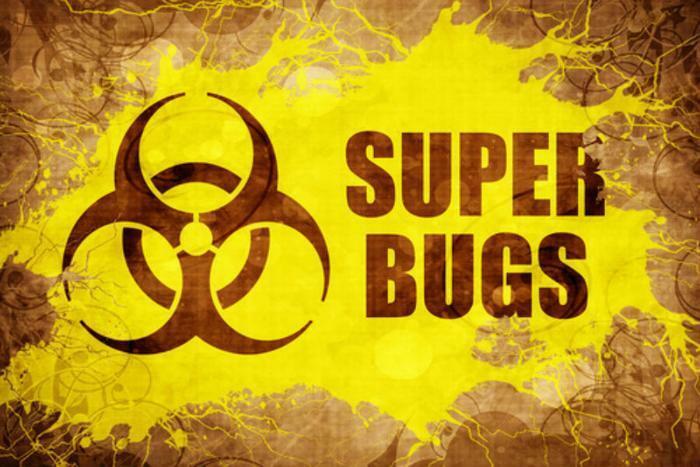 Drug resistant “super bug” found in U.S.